AEG is already in partnership with Odebrecht – the company building Corinthians’ Itaqueirão Stadium – on the management of the Arena Pernambuco, where 2014 World Cup games will be played. 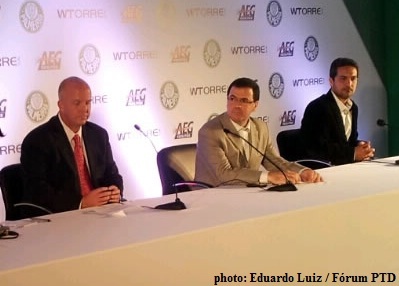 There is however no risk that AEG will start laying its eggs in other baskets in São Paulo, as the deal signed with WTorre – ten years with the possibility of an additional 20 years extension – is exclusive: the contract bars AEG from exploring or managing any other stadium in the city of São Paulo while in partnership with WTorre. It is clear that AEG has made an informed and strategic choice, opting for a long-term and exclusive partnership. For us palmeirenses the outlook is even more promising when considering that AEG has a tradition to invest in the teams linked to the stadiums they manage, although nothing of this has yet been discussed with Palmeiras. During today’s event, a video with our very own “Saint Marcos” and David Beckham was screened. The star from Los Angeles Galaxy – a team managed by AEG – apologised for not being present in person, but congratulated WTorre and AEG and wished them and Palmeiras the best of luck. Palmeiras president Tirone was nowhere to be seen, not even on video; a “conflicting agenda” was to blame for his absence. In fact, not one single Palmeiras director took part in the historic moment. Rogério Dezembro of WTorre was asked to comment on this, but he simply stated that Arnaldo Tirone was in fact unable to come and that the president instead had asked him to distribute Palmeiras jerseys to the executives of AEG and BlueBox – a company that will help AEG run the New Arena and today represented by CEO Beto Lima. What the AEG executives thought of this I have no idea, but in my humble opinion, it’s snafu beyond belief. 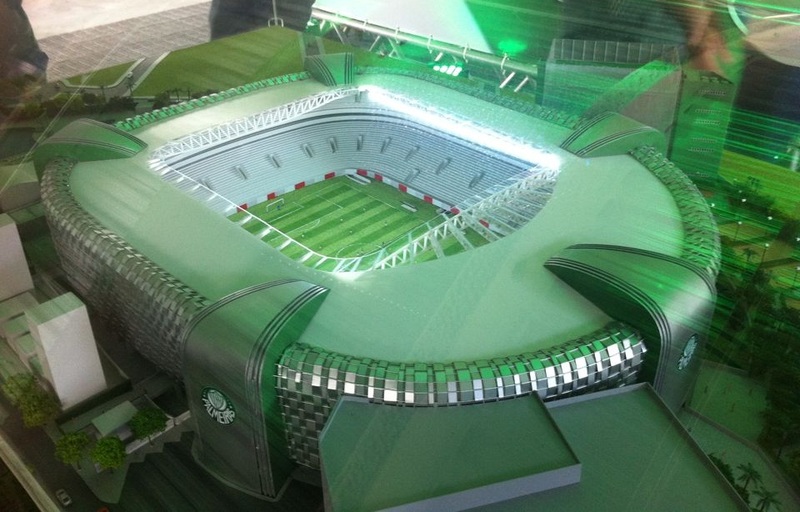 Today, Palmeiras took a gigantic step toward future glories. My heart is beating fast with excitement; an excitement only comparable to the despair I would feel if there was no New Arena being built, if there was no competent management being assigned to run it. The Lord giveth and the Lord taketh away; let’s make sure we deserve this gift from above. Palmeiras need transparency, professionalism and democracy as of yesterday. Palmeirense: do your part and become a member, vote out the old, vote in the new. This event is without any doubt a giant step in Palmeiras history.